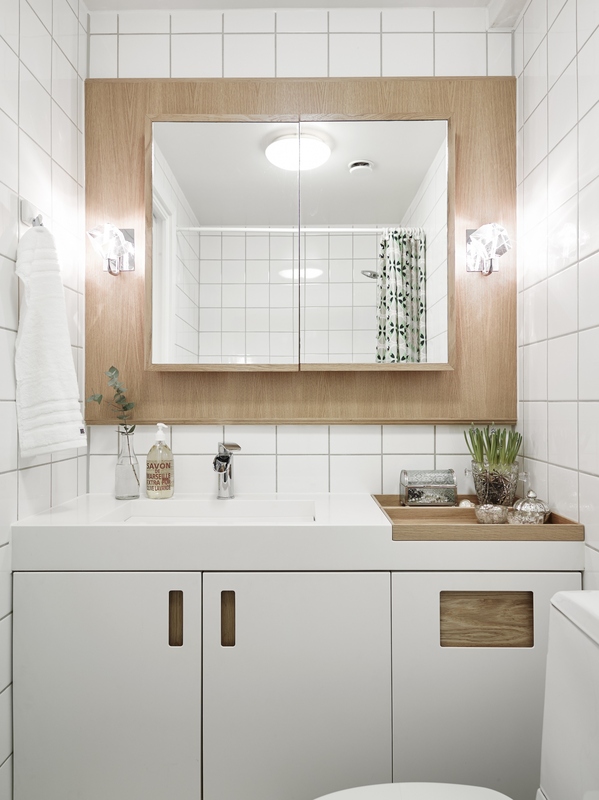 In various websites I usually read lithuanian's comments of angry people that the title doesn‘t reveal a content and the ideas for a small bathroom become ideas simply for any bathroom. Let‘s agree that such articles worth nothing, therefore, I‘ve gathered indeed very nice ideas which will be useful for the ones who have small space in a bathroom and several comfortable arrangement. 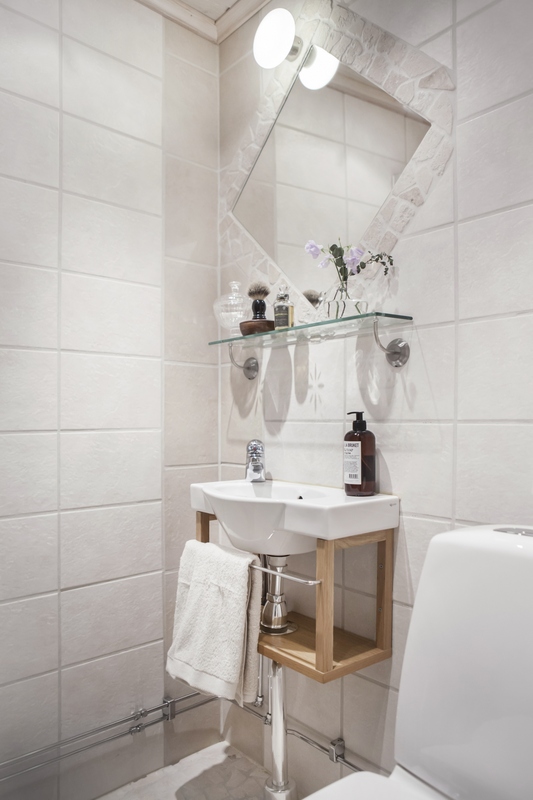 Of course, the best experts of small bathrooms are Scandinavians, therefore, most examples will definitely be taken out of Scandinavian style interiors. 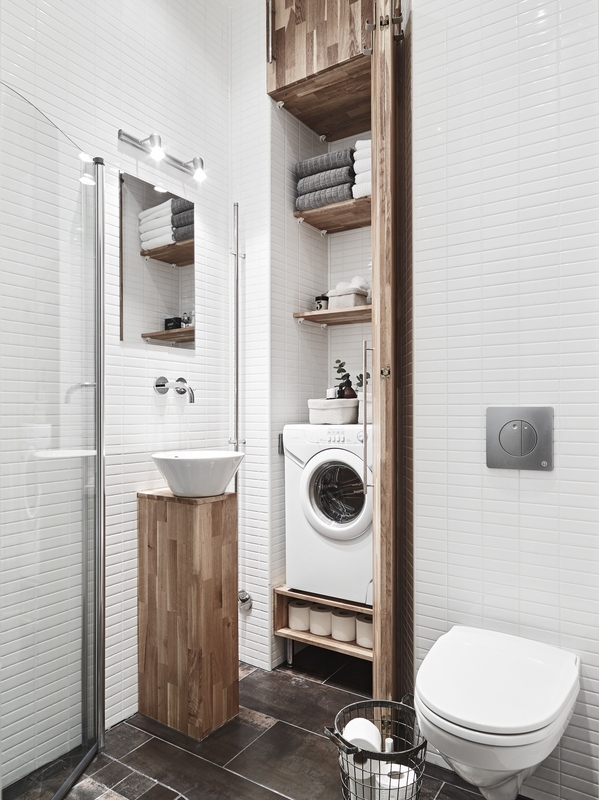 A rather usual sanitary ware device arrangement in a small space is: a toilet bowl, washbasin and shower mounted to the wall (they can be changed in places). 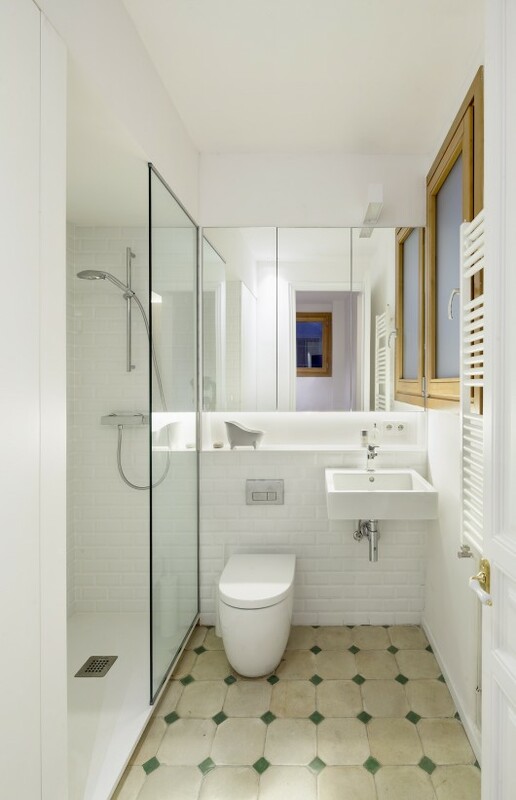 It‘s remarkable that it‘s better to choose a shower with a glass screen and hung toilet on the wall. 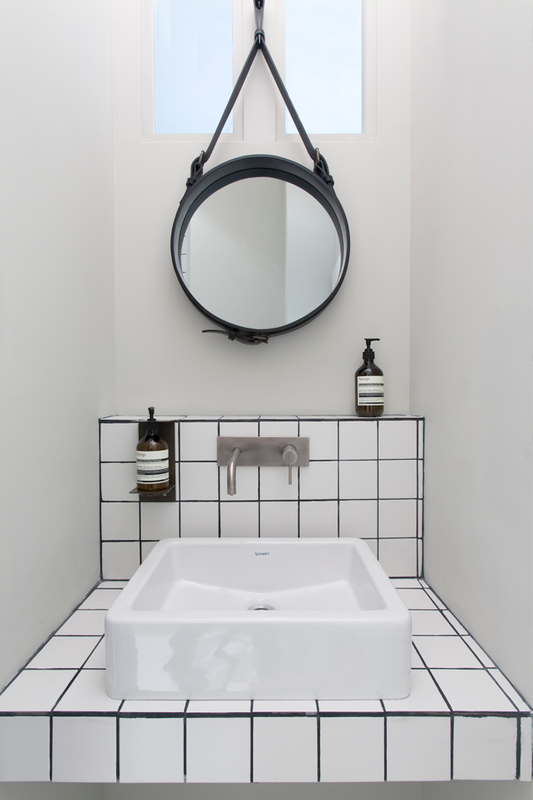 A washbasin without the cabinet underneath will definitely look optically easier, however, in this case the place above it should be used purposefully and to hang a mirror cabinet or find some place for things in another place (for example, above a suspended toiled bowl). 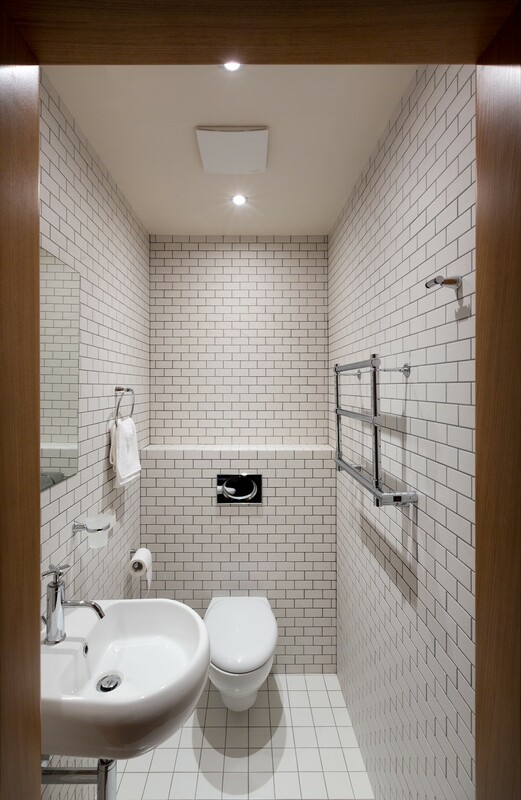 An absolutely minimalistic variant mostly suitable in individual home where there are several bathrooms and this one is not the main one. Several photos that radiate coziness. 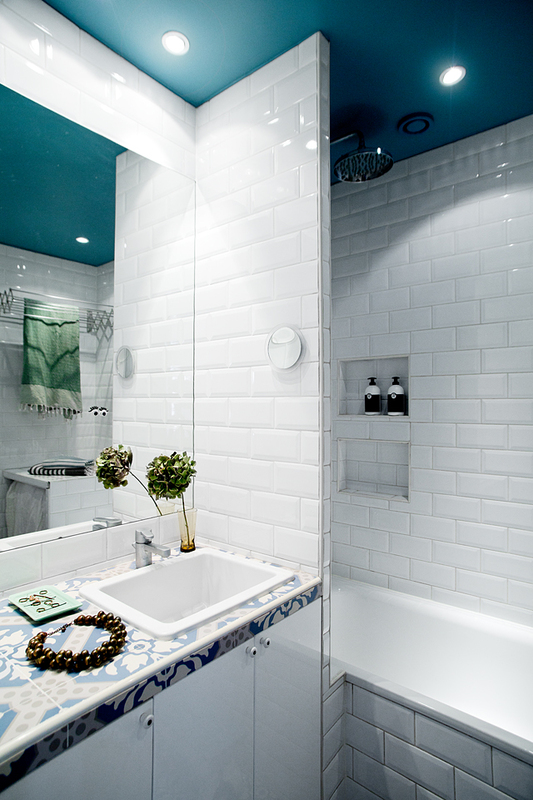 A non-standard solution is blue ceiling and a washbasin is saved from water while taking a shower. 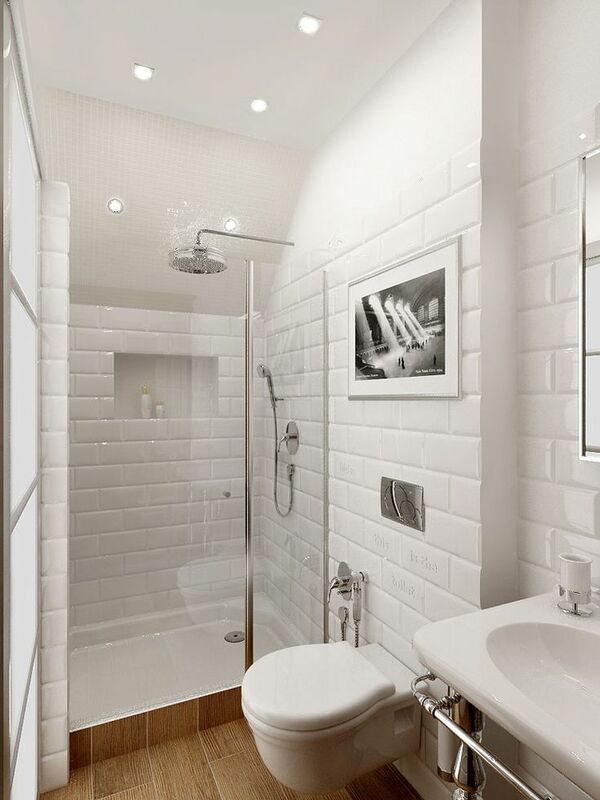 In this case a simple mirror through the whole wall is practically compulsory. 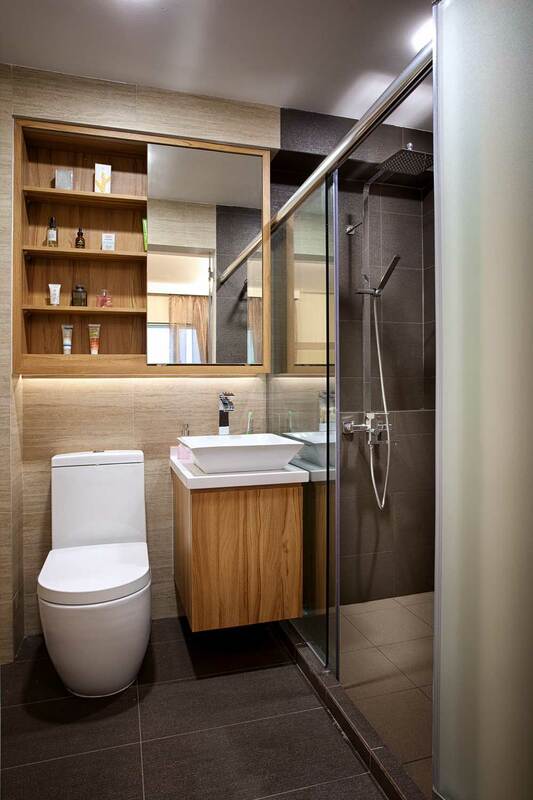 It better reminds a public interior, there‘s the lack of coziness and the place above the toilet bowl can be used for narrow cabinets. 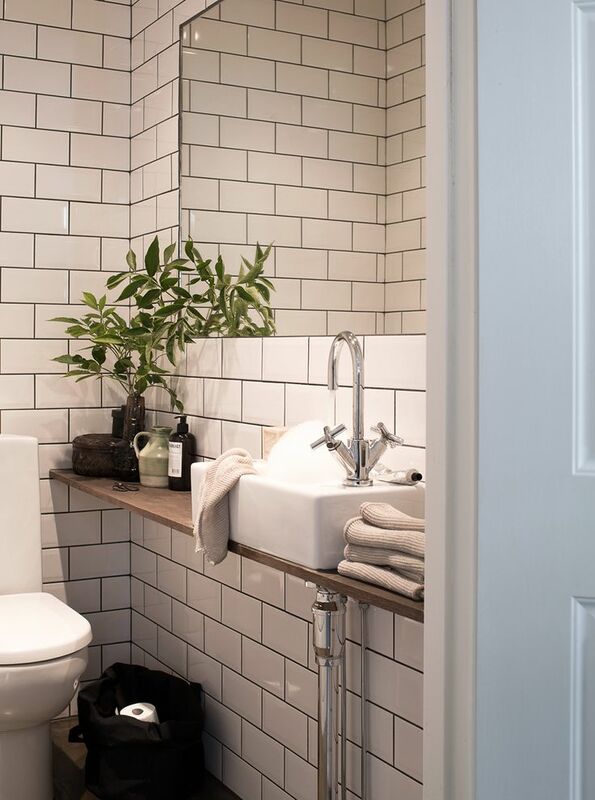 A very cozy corner for a washbasin. 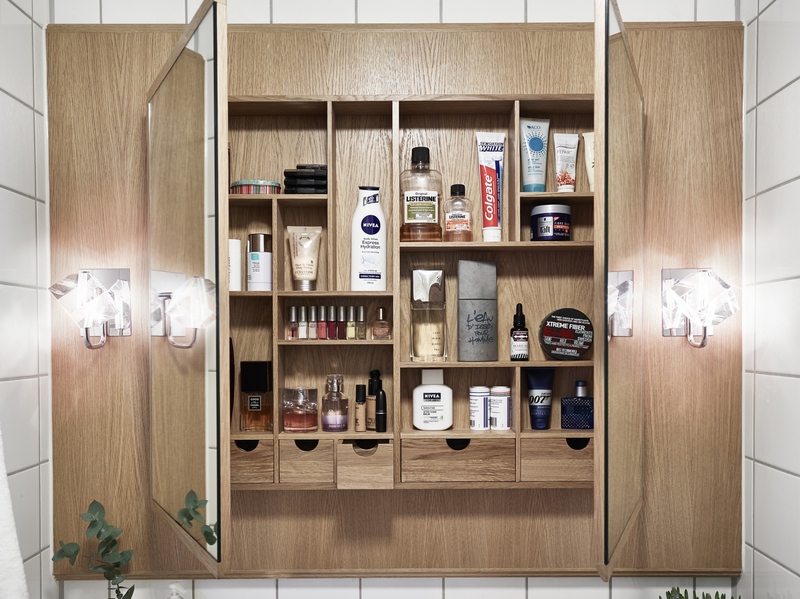 Interestingly ‘framed‘ mirror cabinet and even more interesting its inward with dispensers and shelves and its surface next to the sink. 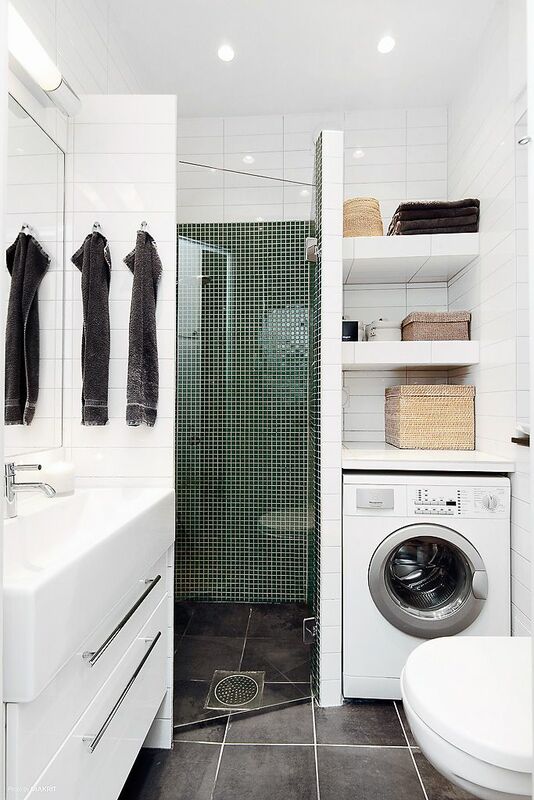 A washing mashine isn‘t the biggest trouble in a small bathroom, it can indeed be solved cleverly. 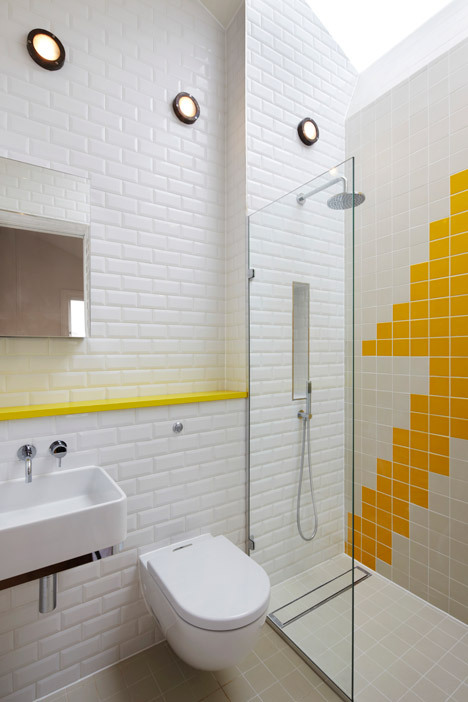 Do you want an unusual bathroom? 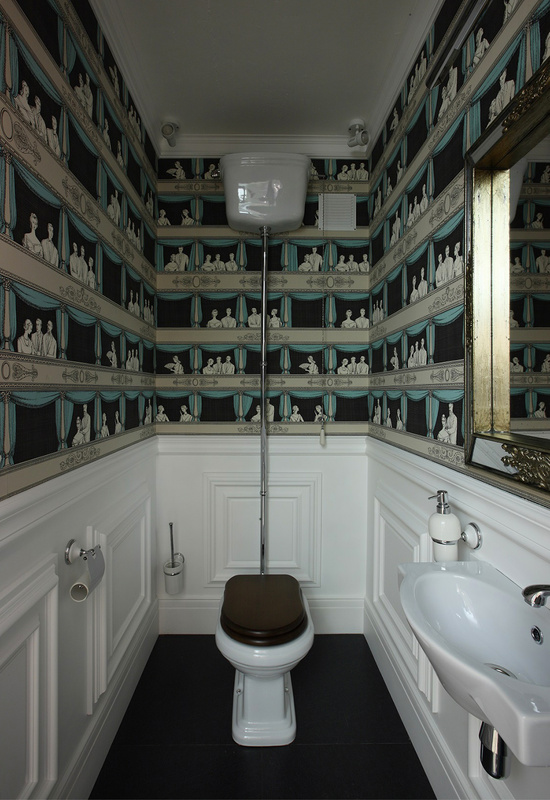 If there‘s no humidity there, you can stick walls with wallpapers! Labai gražu, pati kuriant dizainą turbūt naudočiau daugiau spalvų, nes jos suteikia daugiau erdvės mažoms patalpoms.